#372, Corner of Dongpalane and Dongpina Road, Unit 21, Phonesavanh Neua Village, Sisattanak District, Vientiane Capital, Lao PDR. #091, Nongborn Road, Unit 06, Nongchan Village, Sisattanak District, Vientiane Capital, Lao PDR. #118, Thongkhankham Road, Unit 09, Thongtoum Village, Chanthabouly District, Vientiane Capital, Lao PDR. 13 South Road, Unit 12, Donenoun Village, Xaythany District, Vientiane Capital, Lao PDR. #11, Thadeua Road, Unit 11, Somvang Neua Village, Hadxayfong District, Vientiane Capital, Lao PDR. Nongda Road, Unit 22, Dankham Village, Sikhottabong District, Vientiane Capital, Lao PDR. #099, 13 North Road, Unit 08, Nongniew Village, Sikhottabong District, Vientiane Capital, Lao PDR. Thadeua Road, Unit 11, Suanmon Village, Sisattanak District, Vientiane Capital, Lao PDR. #415, Khamphengmeung Road, Unit 30, Thatluang Tai Village, Xaysettha District, Vientiane Capital, Lao PDR. ACLEDA Bank Lao's Attapeu Service Unit "A"
Unit 16, Vernkand Village, Samakhyxay District, Attapeu Province, Lao PDR. 13 South Road, Unit 04, Myxay Village, Paksan District, Bolikhamxay Province, Lao PDR. ACLEDA Bank Lao's Bokeo Service Unit "A"
#634, Unit 42, Huayxai Tay Village, Huayxai District, Borkeo Province, Lao PDR. New Building, Unit 12, No.13 South Road, Phonesavanh Village, Pakse City, Champasak Province, Lao PDR. #124-125, 13 South Road, Unit 07, Noungbuakham Village, Thakhek District, Khammouane Province, Lao PDR. ACLEDA Bank Lao's Kongsedone Service Unit "A"
13 South Road, Unit 8, Khong Village, Khum 5, Kongsedone District, Saravane Province, Lao PDR. ACLEDA Bank Lao's Saravane Service Unit "A"
#19, Unit 01, No. 15 Road, Phonekeo village, Saravane District, Saravane Province, Lao PDR. ACLEDA Bank Lao's Outhoumphone Service Unit "A"
#302, No. 09 Road, Xayoudom Village, Outhoumphone District, Savannakhet Province, Lao PDR. #010, Phorkaduad Road, Unit 01, Dongdamdouan Village, Kaysonephomvihane City, Savannakhet Province, Lao PDR. ACLEDA Bank Lao's Sekong Service Unit "A"
#053, Unit 04, Watluang Village, Lamam District, Sekong Province, Lao PDR. No. 13 North Road, Unit 04, Phonkham Tay Village, Phonhong District, Vientiane Province, Lao PDR. ACLEDA Bank Lao's Phonehong Service Unit "A"
13 North Road, Unit 03, Phonehong Village, Phonehong District, Vientiane Province, Lao PDR. 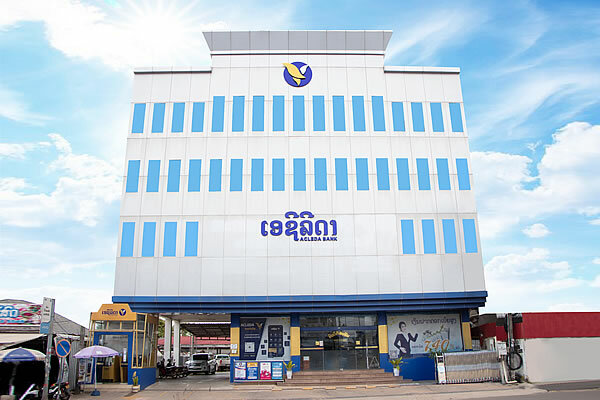 ACLEDA Bank Lao's Vangvieng Service Unit "A"
No. 13 Neua Road, Unit 11, Vangvieng Village, Vangvieng District, Vientiane Province, Lao PDR. Road 04, Unit 14, Simoungkhoun Village, Xayabouly District, Xayabouly Province, Lao PDR. 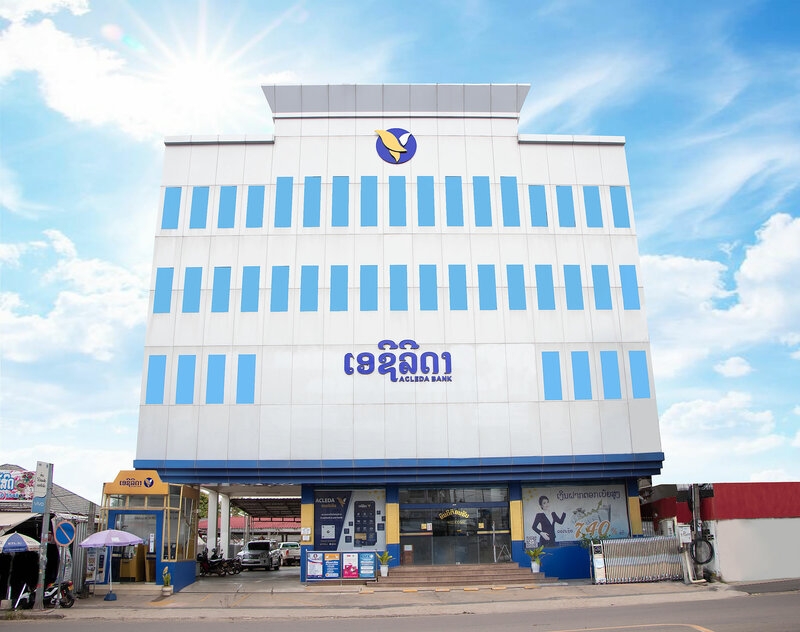 ACLEDA Bank Lao's Xiengkhouang Service Unit "A"
#066, Unit 04, Thern Village, Paek District, Xiengkhouang Province, Lao PDR. Note: A * denotes an outdoor ATM.